How to Remove Chloramine from Tap Water? You probably know clean drinking water is primary for your health, and you can see the benefits of learning how to remove chloramine from tap water – with the first taste you can notice the difference, and of course, healthier life is a bonus with these simple hacks to safe water at home. What is chloramine and why is it found in our tap water? Well, the answer is chloramine is a chemical now being added in water treatment as a disinfectant in tap water and swimming pools because it takes longer to dissipate than chlorine. It may be true that tap and potable water has greatly advanced over the last century, yet the problem is, who wants to be drinking pool water? Not me, and you probably don’t either! I prefer to fully hydrate like tasting a misty waterfall – pure and natural – like nature intended it, and ways of getting there from regular tap water are what this article is about. Personally, I have a serious concern about the toxicities in the environment, and together we can learn how to be proactive, how to use various removal techniques, how to join local initiatives, and then to kindly thank yourself for ensuring your water is clean and filtered. Sadly, chloramine is present in unfiltered water due to widespread use, and scientists are finding that the way it reacts with organic matter already present in groundwater creates by-products that are unregulated by the EPA, with public health risks linked to cancer and reproductive health. Like chlorine, water companies add chloramine as a disinfectant until citizens petition for natural purification. While it does help kill bacteria, it may also cause an increase in lead absorption, which is dangerous to one’s health with continued exposure if not filtering before drinking. Chloramine does not dissipate as quickly as chlorine, and that is the reason it has been widely put into the water supply – it takes longer to break-down, and doesn’t smell as strong as chlorine. Yet, please consider that as chloramine is being used in place of chlorine, the same health risks persist without proper filtration. Yes, using chloramine produces fewer total halogenated disinfection by-products, but on the other hand, it may create higher concentrations of unregulated iodinated disinfection particles – equally if not more harmful, and definitely not something I want in my coffee. I’ll have mine black, please, a little organic sugar, no unregulated salts. Thanks. Seriously, it’s crazy how many restaurants serve food and drink these days with unfiltered tap water. At least in your home, you can always filter the water first before making tea or a meal. Unlike tap water, it’s safe to say that chloramine removal is essential, especially with the included methods below, ranging from letting the water boil lightly for 20 minutes to making a budget for purchasing a filter designed with catalytic carbon or reverse osmosis. For the safest source for pure drinking water for you, your kids, fur babies and more, here are some tips for home wellness. Why Is Chloramine Dangerous for Your Health? If you are drinking water from the tap right now, Stop. At least go to Whole Foods and fill up a jug or empty containers with purified water at their filtration machine. It’s likely you have been drinking significant amounts of chloramine, and that’s not good. As you know, the negative impacts on one’s health are visible – just like what Hippocrates said, ‘You are what you eat’ – in this case what you drink. It’s true. If you want to think and live healthily, you probably know that it all starts with the air we breathe and the water we drink. For peace of mind for you and your friends and family, chloramine removal is not just a good idea; it’s a must for Organic Living. Chloramine is carcinogenic, and so are its by-products, mostly when going to your kids. For me, what is acceptable by public water standards is unacceptable for natural living. I’m sorry, but I know what I want, and it’s only the best for myself and my family. Now, listen up – what’s in the water? It’s important to understand that as you look for alternatives to tap water, bottled water is not necessarily pure. For one part, the wasteful use of plastic bottles is causing a lot of damage to the environment. Furthermore, it’s been shown that the majority of famous bottled water brands – get this – are tap water bottled then labeled as pure! If you want the best quality, you need to go a step farther. 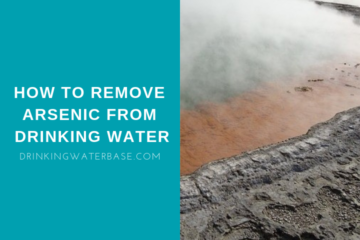 You’ll want to remove the chloramine. Techniques are included below, and I’ll add some recommendations for getting the ultimate, best quality. 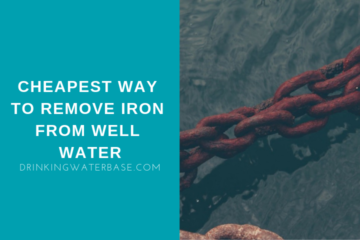 For getting the best water quality at home, my top advice is – use simple removal techniques, and eventually order a good water filter. A combination of an active and catalytic carbon filter will remove the majority of chloramine and chlorine from your tap water – yet if you want the best you’ll get an ‘RO’ system – Reverse osmosis. Today, we’re lucky because we can equip ourselves with up to 7 stages of filtration, some even with alkaline stages for fans of restructured water. These fit at home, under the sink, and excel in their class for purity. Like that, you can get the best water, every time. Remember, that even for your coffee machine at the office, you can budget for one of these. Don’t mention how great it is until your co-workers start to comment and thank you. Just kidding, please explain the benefits to them and help educate people and talk about why home filtration is essential. Ideally, the most efficient way to remove chloramine is to choose an appropriate filtration system that will be easy to maintain by just changing the filter on schedule every few months. As you know, there are plenty of options for improving water quality at home, and to get started, a good filtration system is critical. If you don’t have a filter yet, here is a simple way to remove it at home: boil it! Chloramine and ammonia can be entirely removed from water by boiling; however, it will take 20 minutes of light boil to do that. Just a short boil of water removes about 30% of chloramine. Conversely, chlorine was not as consistently removed by boiling. For that, you can leave the water out overnight, sitting for 12-24 hours. When you have the money, of course, it would be ideal to get a filter. Here you can browse a list of the best reverse osmosis filters for home and office. But, what if you are seldom at home? If you are like me, and you are always on-the-go, and like exercising in nature outdoors and at the gym, you probably would like to have a water bottle with you with pure water to hydrate as you desire. Here are some options for drinking cleaner water anywhere you go with these filter bottles with built-in filter for active lifestyles and survival enthusiasts. They mostly will remove chlorine with activated carbon. For chloramine, use the techniques above. To get pure water everywhere you go, an at-home water filter combined with boiling and portable filter bottles for trips can lead to a noticeable boost in overall health and wellness. The fact is that many people are still learning about water purification, and there is a long way to go before we can drink water free from contaminants like chloramine in public spaces and restaurants. In the meantime, please feel free to explore the site and learn more about the science of water health. Have a look at the list of filter techniques and reverse osmosis, and thank yourself for learning more about water health today. If you would like, please add a comment below and share your thoughts or questions with friends at Drinking Water Base. Thanks for explaining the difference between chloride and chloramine. I hadn’t heard about chloramine. I think it will be helpful to remove toxins through boiling water and filtering it. Just pick one of those methods. Obviously I would prefer to use filter, because boiling is using a lot of electricity, takes time but also you won’t be able to purify the same amount of water at the same time. I have learned something about water that i did not know. You have explained in details about the health water and the dangers of taking tap water or else unfilltered water. Never new about chroramine though have been wondering whether the water is treated nowaday because i nolonger smell the chroline in water now i have known that it is treated with something worse that chroline but less smell. Yes chloramine is still used nowadays as it is efficient disinfectant. I would always prefer to treat water that comes into my house once again.